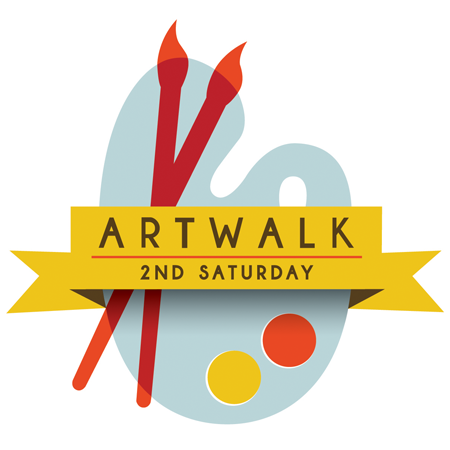 Once a month, downtown opens its various doors for ArtWalk, which invites the public to see what the arts community is creating. The first of the year is this Saturday, the second Saturday of the month, as is tradition. Jefferson Street is a confounding place at times. Busy bars, mainstay restaurants and bakeries are peppered with run-down storefronts and empty buildings who have long outlived their original purpose. An uneasy quiet settles at odd hours of the day before college students descend, plastic cups in hand, and stumble around and into one another in pursuit of the elusive Good Time. ArtWalk, however, generates a different sort of buzz. It’s topsy-turvy in nature. People of all ages and backgrounds – some with walkers, some in strollers – fill downtown to actively participate in something generated for residents, not just tourists. Galleries like the Acadiana Center for the Arts, whose only sounds are the echoes of footsteps down nearly vacant halls, are suddenly teeming with a collective hum of conversation. You’ll see this best on the second floor, just after sunset. It’s shuffling the deck of everyone you know, and you realize you are likely someone else’s recurring character. You take off your coat. Your voice joins the hum. ACA’s events tend to include large installations that sprawl out like creatures in a lucid dream and interactive works on a projection screen. The space is large enough to house imaginative and unconventional pieces, but other galleries, like Gallery R and Gallery 333, offer a more traditional experience in cozier settings. Viewings aren’t sequestered to galleries. Downtown Special Events Coordinator Sarah Koller noted that restaurants like Pamplona Tapas Bar, Tsunami and Pat’s Downtown often participate. Salons like Mon Reve, Salon NV and Parlor provide unexpected spaces for art on their walls; skate shop Rukus Board Shop and Lagniappe Records also host artists’ work among their wares. A relatively new addition to the monthly event is the Wurst Art Market at the Wurst Biergarten, and Lafayette Arts & Fleas in Parc de Lafayette. While there, vendors offer handmade goods, vintage clothing and accessories, and even tarot readings. It’s its own hub for those few hours, and usually vacant spaces are fully utilized in surprising ways. Artwalk feels like shaking a snow globe and watching everything – the art, the attendees – fall as they may. You’re more inclined to walk into places you wouldn’t normally think to visit, which can, with that one action, alter how a night goes. With what feels like the entire city doing the same, over and over and venue to venue, the electricity is palpable. I never feel more hopeful for my region than I do during ArtWalk. While it isn’t like the annual festivals or events for which we’re commonly known, it acts as a way to check the pulse of our creative communities. It is a way for you to be part of someone else’s background, and to contribute to the collective hum.